Cups and balls have been giving pleasure, as a magic trick, to generations of spectators. It is still regarded as one of the most outstanding of all magic effects. 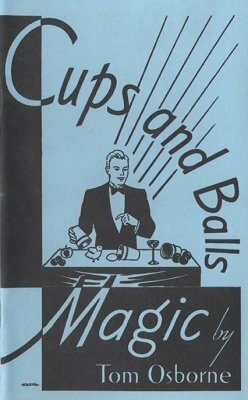 My gratitude to Dr. Henry Ridgeley Evans and to John Mulholland for writing the story of the cups and balls, so that all may appreciate the history of this classic of magic. Thanks to Bill Hanna for the illustrations which do so much to make the book come alive. All the basic ball moves are described in detail using clear illustrations. A section of routines is described that will get you started on your way to devising your own methods and plots. Houdini said that anyone who hasn't learned the cups and balls, isn't a magician! 1st edition 1937, 59 pages; PDF 49 pages.